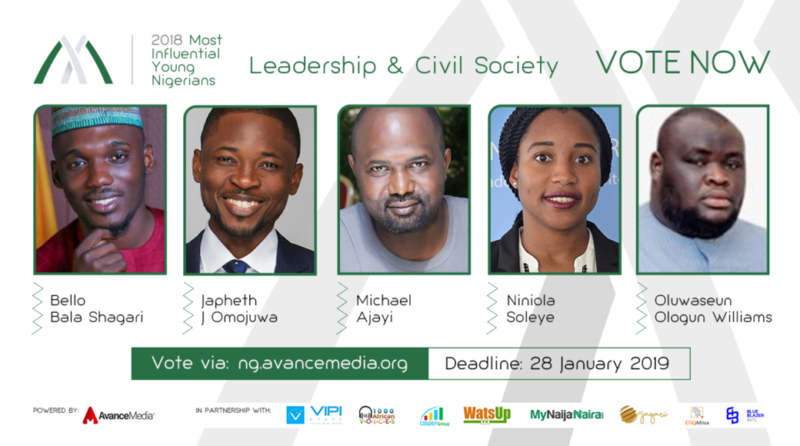 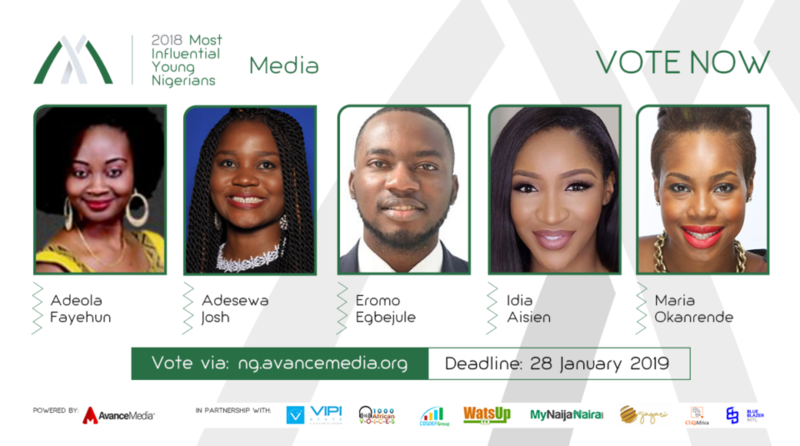 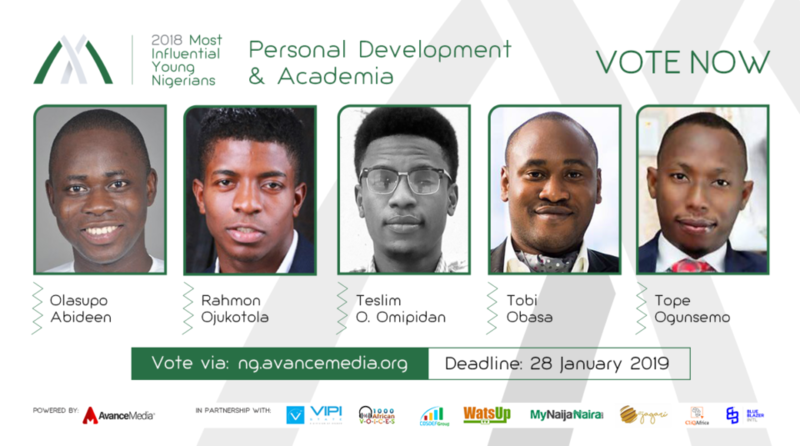 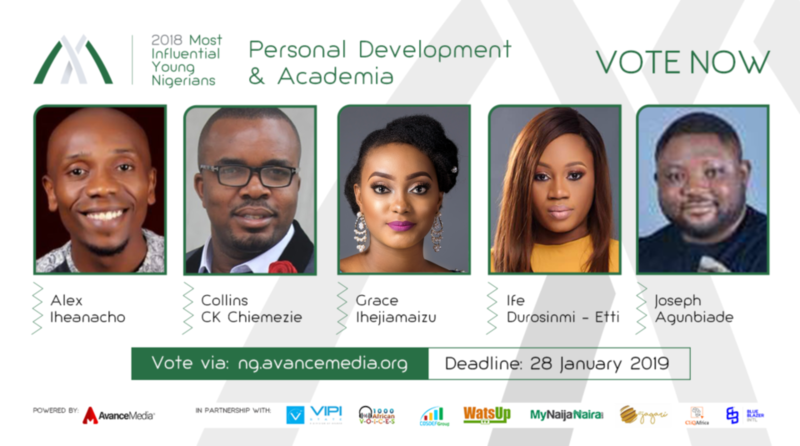 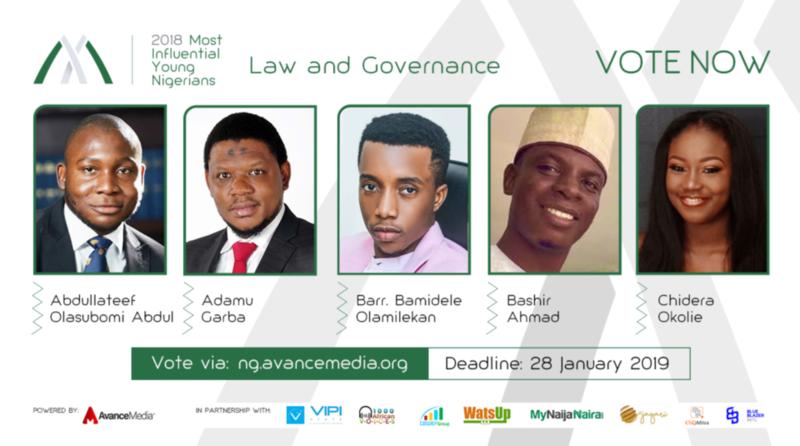 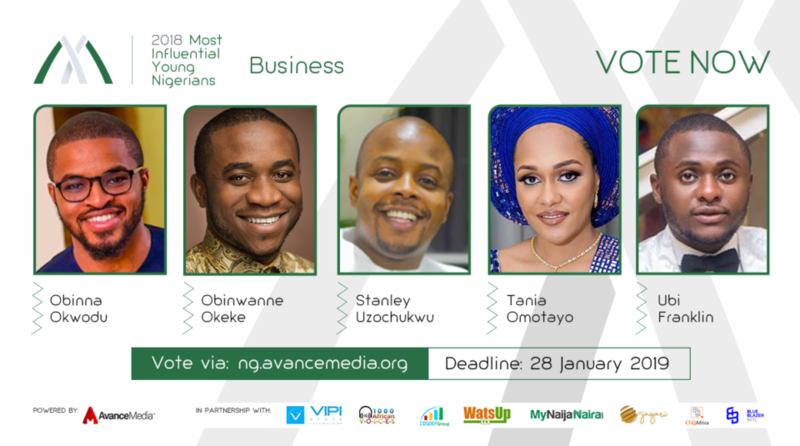 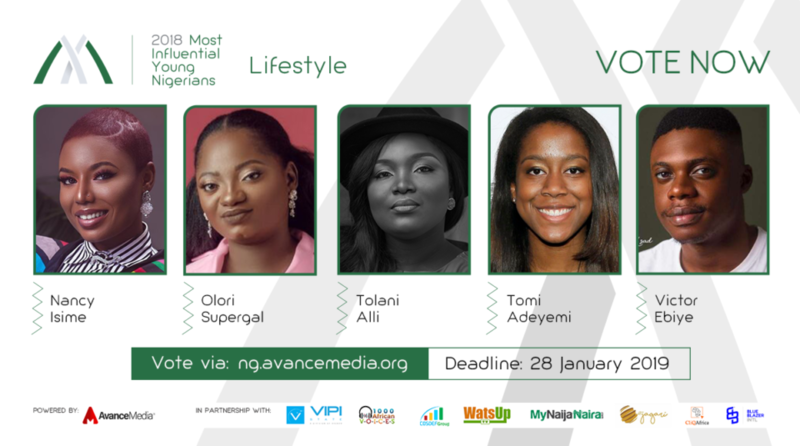 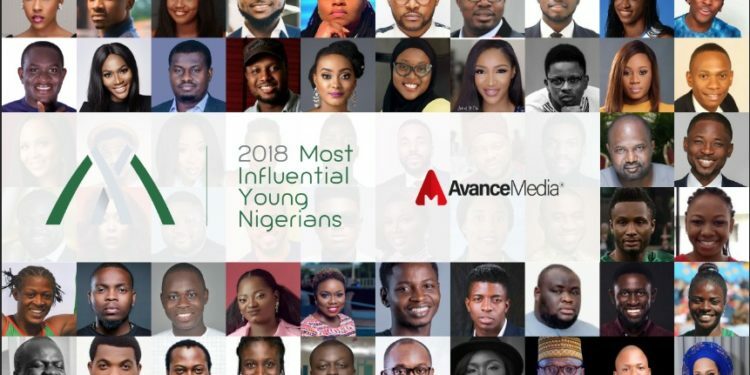 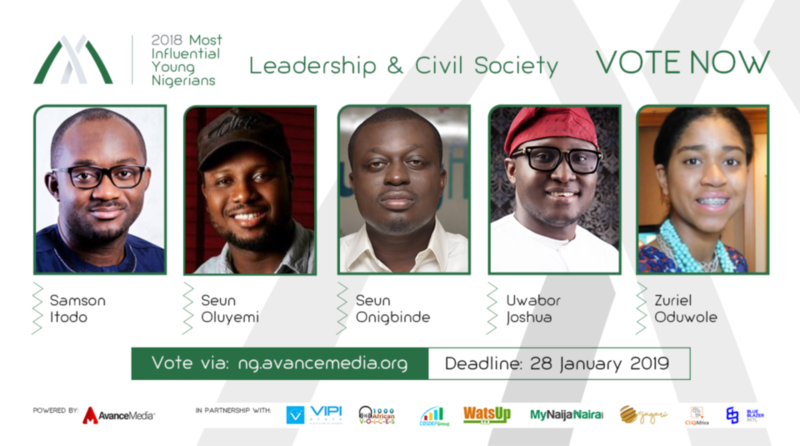 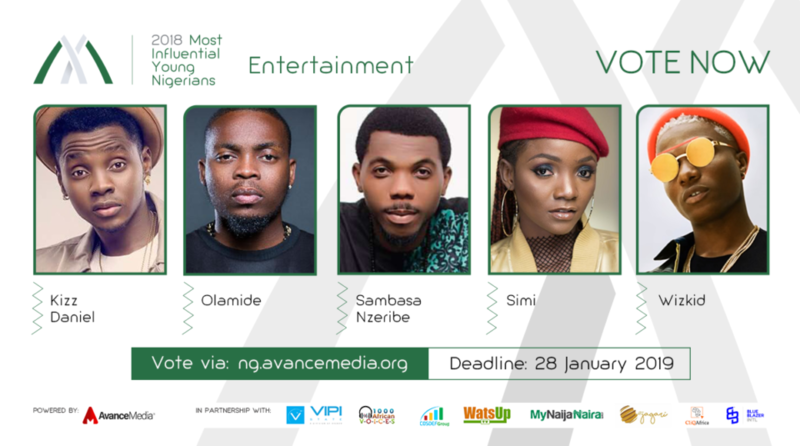 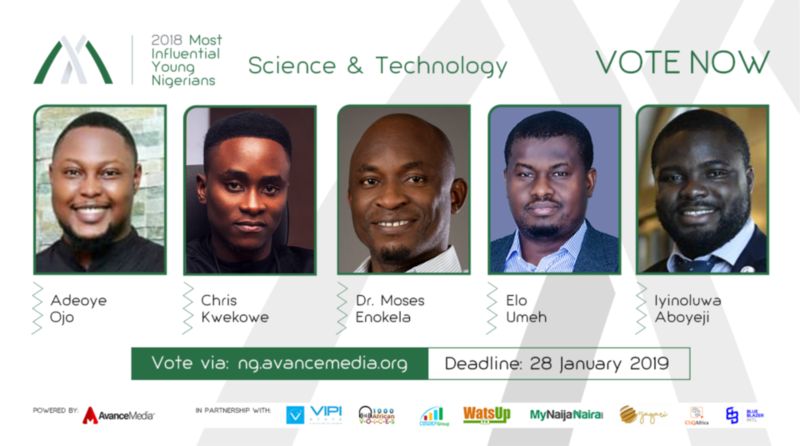 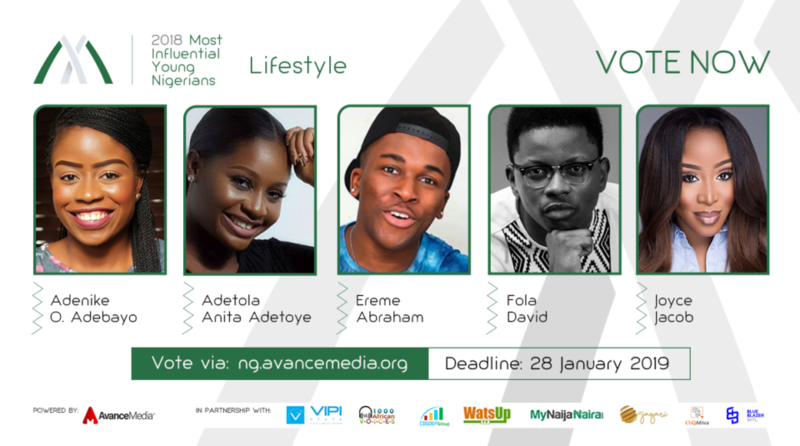 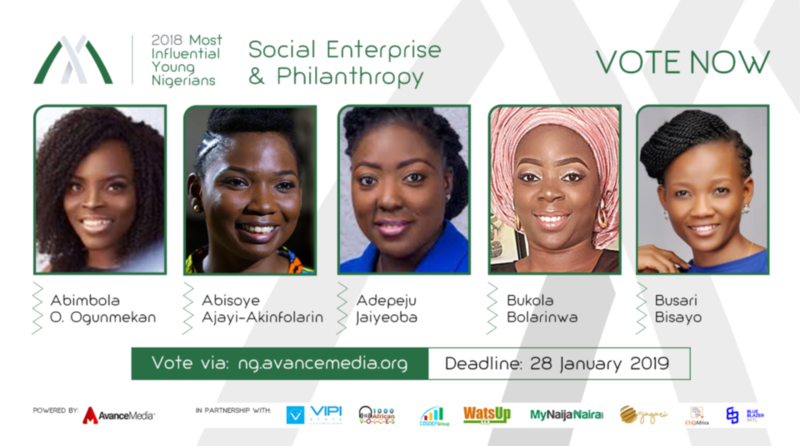 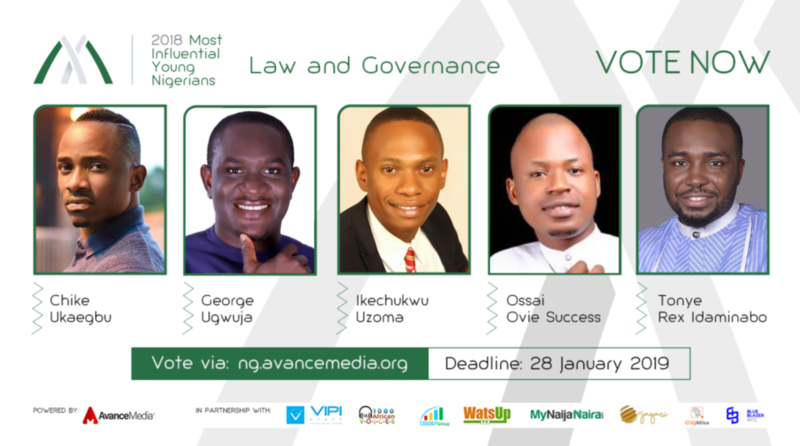 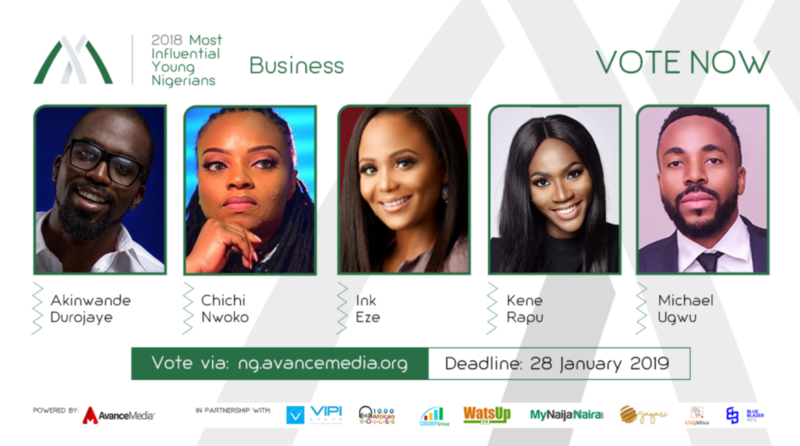 Leading PR &amp; rating agency, Avance Media has announced finalists for the 3rd edition of its prestigious annual ranking focused on young people dubbed: 100 Most Influential Young Nigerians. 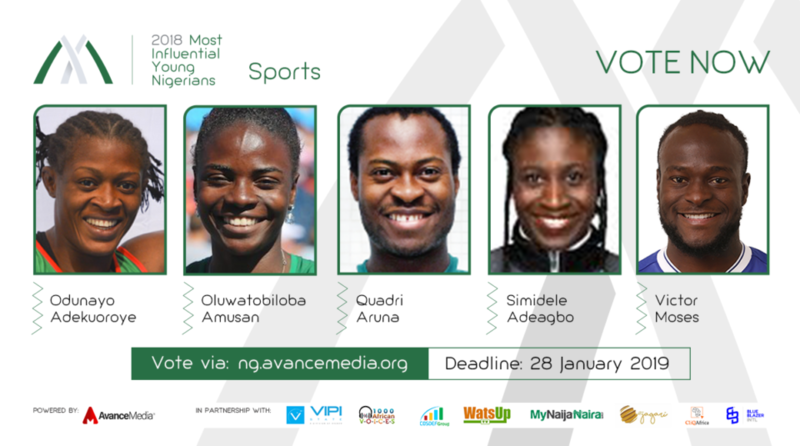 nominees in their categories and in the overall ranking. 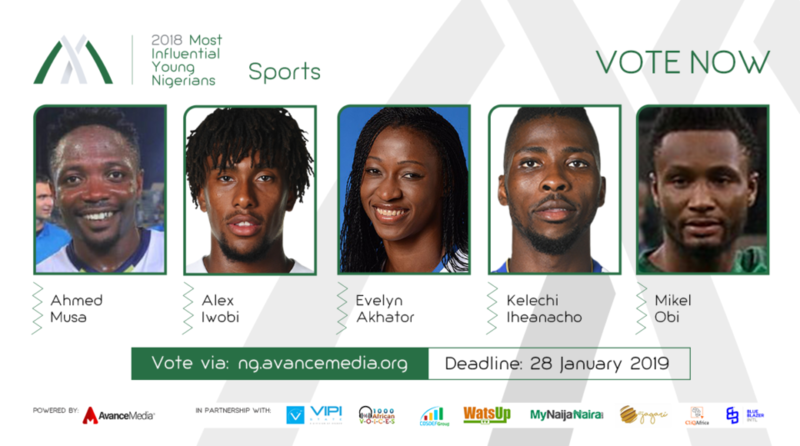 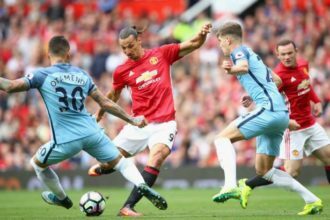 Previous editions have been won by Actress Funke Akindele (2016) &amp; Footballer Victor Moses (2017). 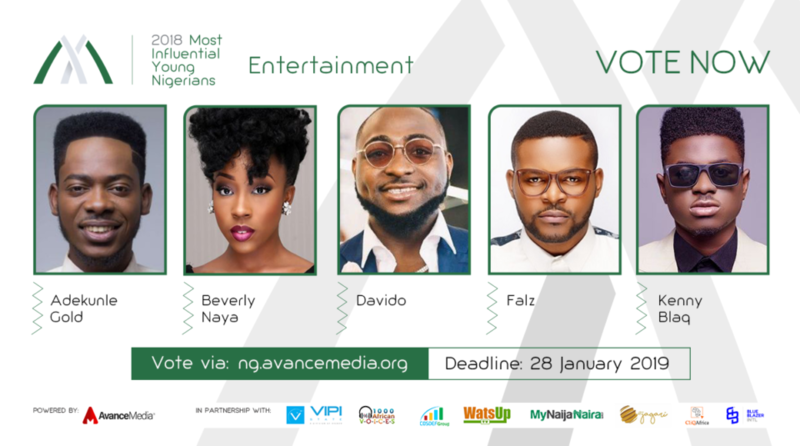 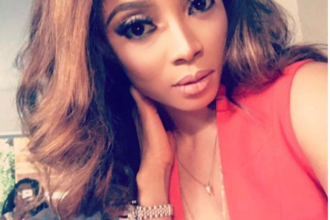 Some notable personalities nominated include: Wizkid, Davido, Ubi Franklin, Grace Ihejiamaizu, Japheth J Omojuwa, Tonye Rex Idaminabo, Victor Moses etc After launching the initiative in Ghana in 2015, Avance Media has been able to partner various organisations across Africa to extend the ranking to Cameroon, Nigeria, South Africa, Kenya, Tanzania &amp; DR Congo and is expected to announce a global ranking in 2019.